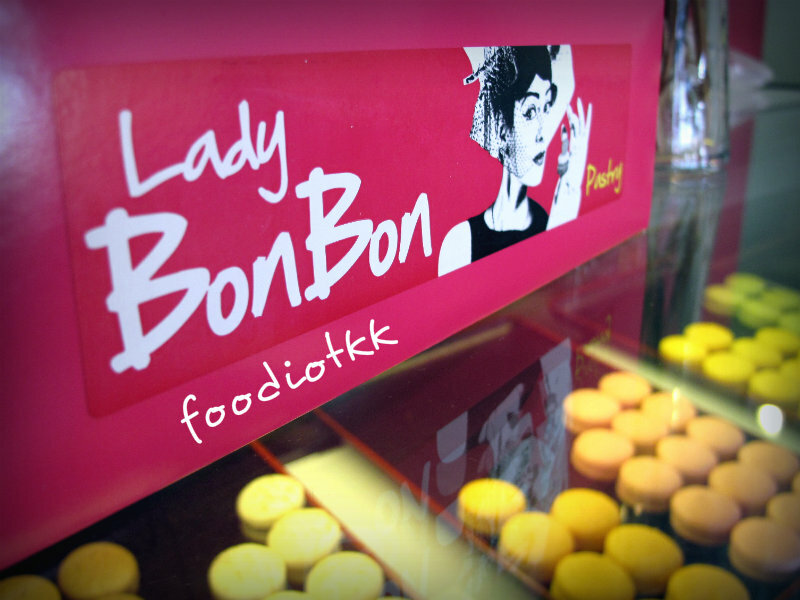 Lady BonBon is a pâtisserie at Lintas Plaza, Kota Kinabalu, just opposite Patrick's Signature by Party Play Restaurant and Hotel Aston. Lady BonBon have been selling these eye catching macarons since last year. Few months ago they have a counter at Gaya Street too, but relocated. Besides macaron, Angeline, the mastermind behind the checkout counter also made some fine decorated cakes too. 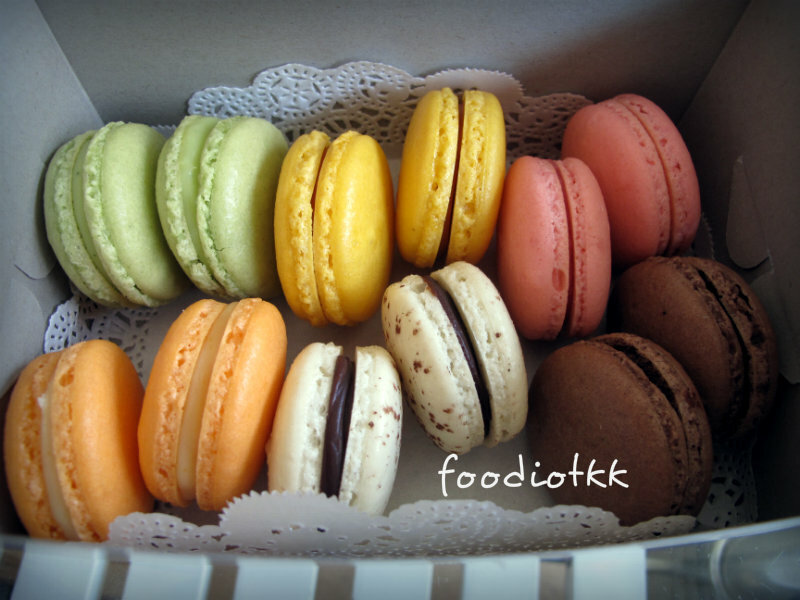 Last month I bought 2 boxes of macarons via Groupon, what I did after the online-purchase was, I gave pâtisserie a call to reserve. Sharing is caring and by doing that with your love one, dirty dishes will ended up on the rack dry and shiny. Hopefully. 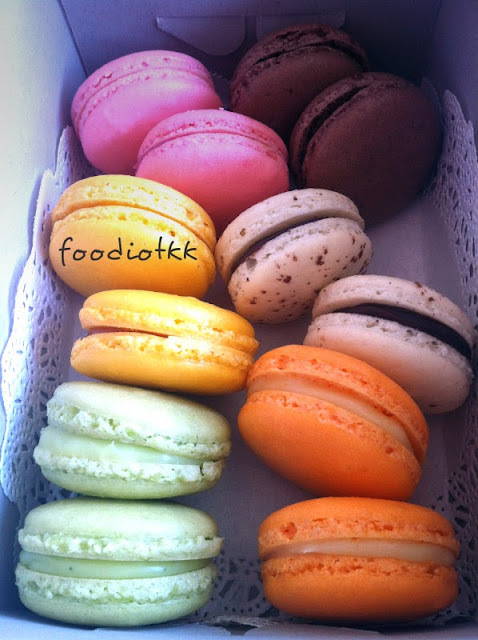 There are 6 flavors available: Salted Caramel, Passion Fruit, Chocolate, Raspberry, Hazelnut and Green Tea. 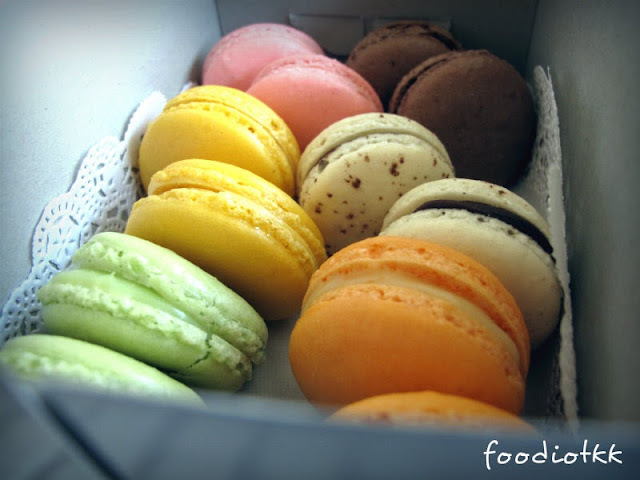 I loved Salted Caramel and Hazelnut Macarons! Seats in the shop is very limited, "da bao" (take-away) recommended.